The Musikverein, the Rudolfinum - add the Bela Bartok Concert Hall (opened in 2005) to this list of great halls in which we'd like to perform any time! 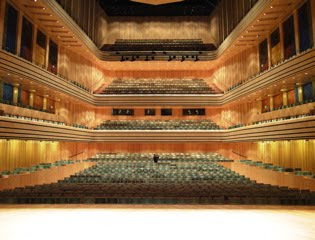 This is the hall, from the stage, photographed by Michael. 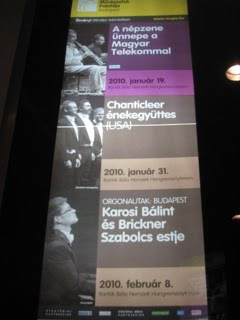 Two years ago we appeared here in the smaller Festival Hall which went very well, so this time we were invited to sing in this hall which was a major treat. 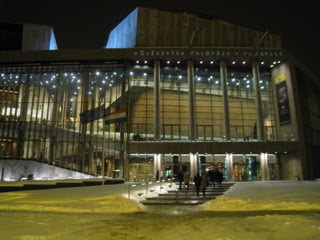 So - three of the world's best concert halls in one week, plus two opera houses in which it was a pleasure to sing. Quite a week. We're good for a day off tomorrow.